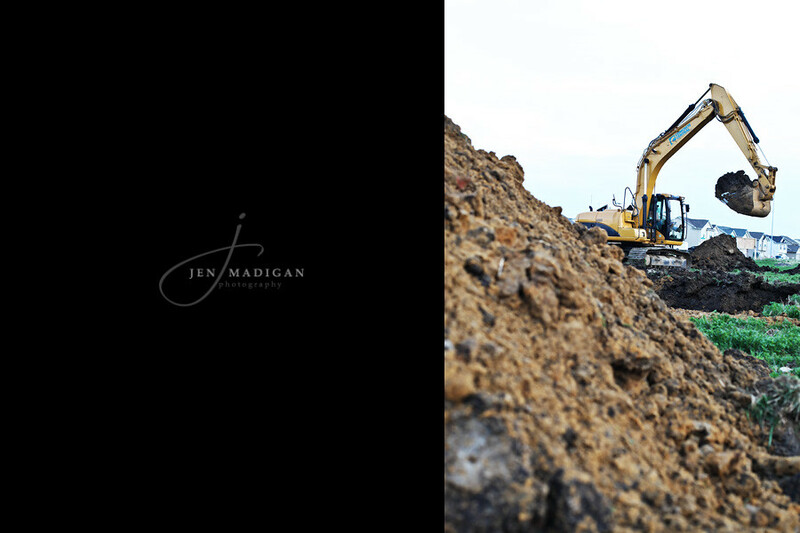 Jen Madigan Photography - Mentor, Ohio Lifestyle Photographer: Can You Dig It? At the beginning of 2010 I wrote up a list of 101 things I'd like to do in 1001 days (see original post here). Goals #1 and #2 were to buy a new house with a yard for Einstein, and sell our current home. In February we started looking and after talking with our friends who built last summer/fall, we decided that we would build as well. So...we met with the builders, finalized our plans, put our house on the market, accepted an offer on our current home, and picked out our new lot. Despite all the meetings, planning, and picking out all of the appliances, countertops, cabinets, lighting, etc - it hasn't seemed real until yesterday. I got an email around lunchtime that they would be digging the hole that afternoon, and we got some calls and texts from friends in the neighborhood as well once they began. 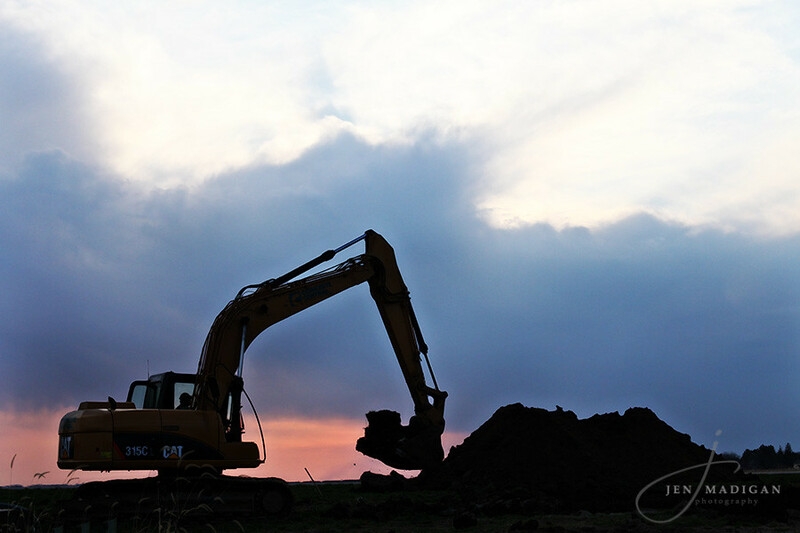 After work we loaded Einstein into the car and headed over to photograph them breaking ground. 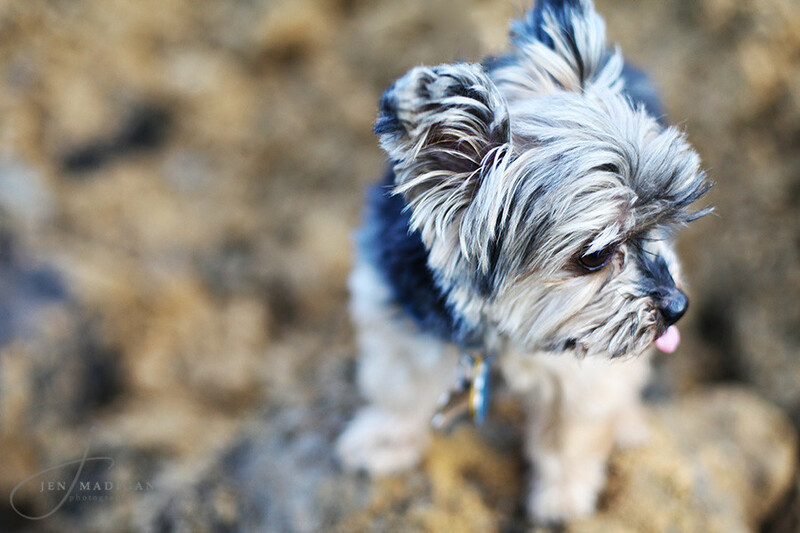 Einstein is not sure about all the dirt, but I think he'll like his new backyard with lots of room to explore. In July we will be moving into our new home, and I am so excited to see it progress over the next months. I can't wait to see the finished product! The house is coming along quite nicely! Can't wait to be your neighbor again!